It’s been a busy week on the effort to recall to Klamath Irrigation District board directors Chairman Cheyne, Vice Chairman Knoll and Mr. Smith. On Tuesday, KID set a special election date of October 12 for the recall of Brent Cheyne, representative of Zone 2, and Ken Smith, who represents Zone 1. In the article “KID recall election set for October“, on September 7th the Herald and News reported Ed Bair, Ross Fleming and Jason Chapman submitted petition signatures to the KID office supporting the recall effort last week. There were 52 signatures supporting the recall of Chairman Cheyne, and 59 supporting the recall of Mr. Smith. Though there were more than enough signatures submitted to recall Vice Chairman Knoll, enough were rejected to keep his seat safe for the time being. After the signatures were accepted, Cheyne and Smith had five days to respond or resign. Instead of resigning, on September 7th Cheyne and Smith responded. In Cheyne’s response, he claimed, “Every non-staffing decision was made during a public meeting” and “KID’s manager and legal counsel were replaced after carefully analyzing their performance”, contrary to angry, knee-jerk reaction KID patrons saw. 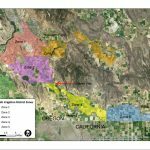 He also discussed the KBRA, which has not been an issue since it expired in January of this year, as the reason for not supporting the Klamath Water Users Association, apparently unaware of the work the group performed on behalf of the C Canal Flume. In Ken Smith’s response, he continued to support New York City attorney Lawrence Kogan‘s work on the C Canal Flume, stating, “Attorney Kogan was hired to work on the C-flume contract and his work expanded on the basis and I believe he was instrumental in getting the terms of the approved C-flume contract.” However, not a word of the contract Mr. Cheyne discreetly signed against Kogan’s advice was changed. He also wrote, “At no time did I knowingly violate any public meeting law as the three majority board members have never met outside a board meeting” referring to the Oregon Government Ethics Commission investigation to an ethics complaint filed against him, Cheyne and Knoll. Interestingly enough, neither justification discusses why they allowed the legal budget to be drained so severely, how they came to meet Mr. Kogan or exactly what Mr. Kogan did to change the terms of the C Flume contract. For more about Smith and Cheyne’s Statements of Justification, please see the Herald and News article “KID’s Cheyne, Smith justify positions“. An area of contention with the three KID Board Members that represent the “majority faction” is the fact they’ve let their attorneys Lawrence Kogan and Nathan Reitmann exhaust the Klamath Irrigation District’s legal budget so quickly. In an May 21st, 2016 article in the Herald and News – “KID Legal budget nearly exhausted” – Lacey Jarrell reported was nearing its legal budget cap of $70,000 with expenses near $58,000. A month later, the legal budget would be drained. According to an June 29th, 2016 article in the Herald and News – “KID legal fees over budget” – the legal fund was already $60,000(!) in the red. The largest portion of the fees were paid to New York-based attorney Lawrence Kogan, who is billing the district $250 per hour. Employment contracts for Kogan, and for general counsel Nathan Rietmann, were signed Feb. 29. In late May, Kogan submitted to KID two invoices totaling $58,586. 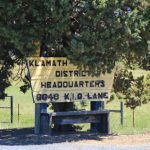 By June 27th, the the Klamath Irrigation District had already burned through its $70,000 budget and was nearing $122,000. As of this writing, Mr. Kogan has yet to send KID his second bill for services rendering, including what patrons see as inflammatory editorials in several papers in the region.